Acquiring industry specialized ERP Software is a major investment for your company. Implementing new ERP applications with accuracy and speed is critical to increasing cost savings, efficiency, and enhanced productivity. Q Systems ERP application systems provide comprehensive capabilities integrated across multiple platforms, online and offline. Our e-commerce engine allows you to access API endpoints and work with both B2C/B2C websites - custom built for platforms such as Magento, Shopify, Word Press, etc. We also provide EDI transactions and drop-ship fulfillment. 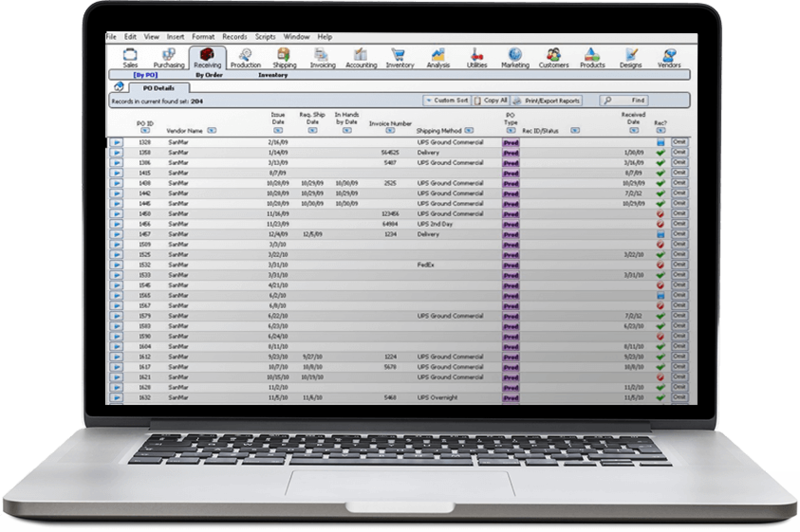 EIS (Executive Information System) shows you the big picture: orders, A/R, A/P, cash flow, inventory. View sales activities and profit margins at one glance. Trend Analysis and Business Forecasting also available. Our business application service plans take you from A - Z in your setup process. Want to hear more about how Q Systems can help you achieve your business management goals? Call our office and speak with one of our strategists. We'd love to have a conversation with you about how Q Systems can provide unique, customized solutions for you.